40-in-40 Giving Challenge Exceeds Goal! Our community met and exceeded the 40-in-40 challenge - raising $114,800 in 40 days, which funds our 40-room House for the month of December. Thank you to the hundreds of people who donated thousands of dollars so Family House guests can be warm and comfortable during the holiday season. The theme of the fundraising drive was Reasons to Give, and we counted down 40 reasons over 40 days. 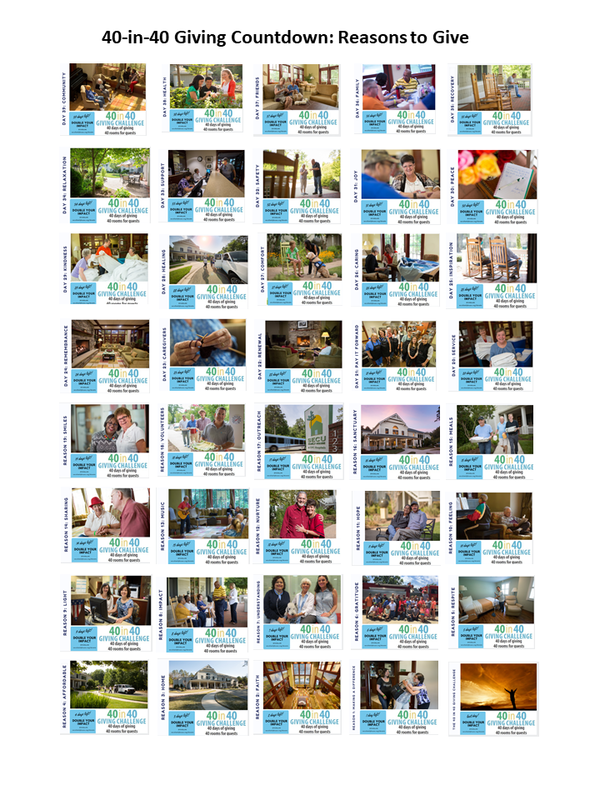 More than a third of the 40-in-40 donations were from former guests, who were thrilled to know their gifts were doubled by a match from a group of generous challenge donors. We appreciate that 22% of the donations were from new donors, and 23% came from volunteers and staff. People responded to the chance to double their impact! All donations to our Annual Fund bridge the gap between our relatively low room rates ($45 and $60) and our true cost of daily operation, which is $95 per room. Guests stay with us all year long - even through the holidays. Please continue to consider donating to Family House throughout the year!